Our success stems from the fact that , the economy changes and we change and adapt as well our commitment to residential remodel is our main concern in this enviroment , our high level of integrity, our top quality. 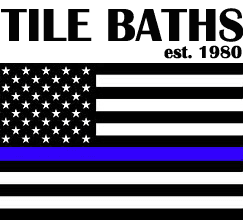 Tilebaths roots started out in 1981 in Mammoth Lakes, CA. From our humble beginnings at an early age out of tile apprenticeship school, we learned how to adapt to the changing climate conditions that taught us early on in business how to adapt to the many changes in our industry. Tilebaths.com fits all design and remodeling needs.Let us offer a 3 -D image of your Kitchen cabinets ! This ancient art form dates back to before the birth of Christ and examples of early mosaic floors can still be seen in the Bardo Museum in Tunisia. The Domus Aurea, built by Nero in AD 64 had mosaics covering the walls and ceilings. Such is the beauty of these creations, it's no wonder that the art-form still lives on today. "John was very helpful to my remodel project despite being booked too far out in advance for me to get onto his schedule. He gave me a competitive estimate that explained the procedures and how to compare other bids based on the proper procedures for the installation. We spoke a few times, texted and Emailed and he was very prompt in responding each time. Thanks John."